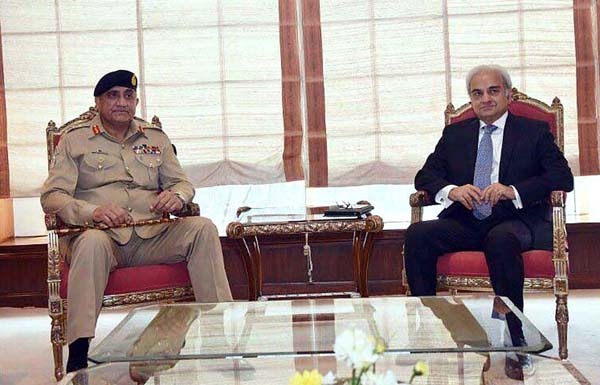 ISLAMABAD, June 6 (APP):Chief of the Army Staff (COAS) General Qamar Javed Bajwa Wednesday called on Caretaker Prime Minister Justice (retd) Nasir-ul-Mulk here at the Prime Minister Office. The COAS felicitated the Caretaker Prime Minister on assuming office of the prime minister. Professional matters pertaining to Pakistan Army came under discussion during the meeting.